DEFINITELY the best of the trilogy! I loved reading Champion and am SO HAPPY my brother bullied me into reading these books. Wow. All I can say is wow. Champion follows Day and June after the events that happen in Prodigy. June takes a position as the Princeps-Elect in order to work closely with the government as she’s been trained to do her whole life. Day’s headaches are progressively getting worse, and he finally has a diagnosis. There is a plague breakout with no cure. The former United States is rivaling and the Republic needs outside help. Will they get the help they need? Who will be champion? Guys. This series is so fricking good. This last book was the PERFECT way to end the series and I honestly don’t think I’ve read an ending that was better than this one. The way this ended was tragically sad, but also beautiful and perfect. I just have so many emotions regarding literally everything that happened in this book. I was a little angsty about how Prodigy ended, so I knew that something had to be resolved right away at the beginning of Champion, but it took so long, but was also a perfect amount of waiting. Wow, okay this doesn’t even sound like anything lol. Because I don’t want to spoil anything, I don’t want to go into much detail with… anything, but this was such a great ending. I love Day. I love June. I love them together. I love Anden. I love all of the characters in this series. So many things happened in this book and I think this book specifically, goes to show how talented Marie Lu is. I want to read more books by her because I know that I’m going to love them! Ugh the end of this book broke me. I almost started crying, so I’m not feeling very prepared for the ending of Champion because I’ve heard it’s so sad. Wow, okay coherent thoughts…. 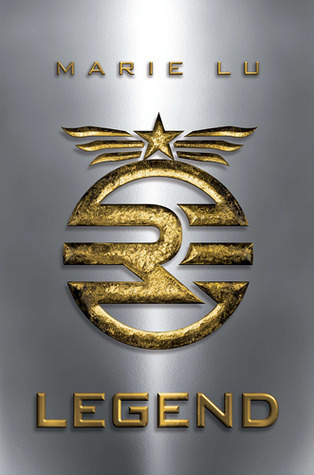 Prodigy is the second installment to the Legend trilogy. It follows Day and June as they escape from the Republic and join the Patriots, the rebel group. The Patriots have always wanted Day on their side because he’s the best criminal in the whole country, and June is the Republic’s prodigy. They’re wanted because they’re extremely valuable. Not to mention, they’re on the run from the Republic with no money, and Day can barely walk. They get taken in by the Patriots, and things seem too good to be true, but are they? The only reason I didn’t give this 5 stars was because it was fairly slow during the middle 1/3. It kind of fell into the “second book syndrome,” where it was a lot of explaining and figuring out the whole world and why things are going wrong, proving that things aren’t what they seem. I think this book is *obviously* detrimental to the trilogy, but it was slower than I would have liked. There were so many scenes that had me on the edge of my seat *while laying in bed…* that I was anxious about! Anxious in a good way because I COULDN’T STOP READING for the last 1/3. The last parts redeemed the whole book for me, but the ending was SO SAD. If you haven’t read this book you can click off, k thanks. Why the frick wouldn’t Day tell June the real issue at the end?! I’m just confused, because this might just solidify that BOYS R DUMB or that he’s actually a super great guy who didn’t want to put burden on the girl that he loves. But my goodness they love each other so much why didn’t he just tell her. It just breaks my heart. You could feel June’s heart breaking in the last chapter. She didn’t know what to do, and knew that Day was hiding something, but didn’t want to push this issue and ugh. I like June and Day, but I also kind of ship June and Anden… Is that wrong? I know that the whole idea of adding him as a romantic interest is to create the love triangle, but I’m kind of here for it. I usually am not a huge fan of love triangles, but I can he here for this one. Day and Anden are SO different from each other, so it’s almost hard to compare them, thus the love triangle is justified… in my mind. 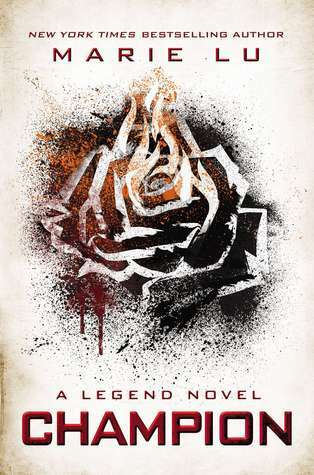 I’m really enjoying this series and am so glad that I re-read Legend before continuing on. 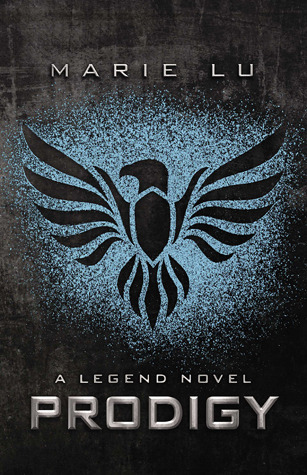 I can’t wait to read Champion because I NEED to know how the trilogy ends. Wow I’m just kind of blown away tbh. Also, Champion will be my first “real” read of Booktubeathon! I’m participating in Booktubeathon again and I’m so excited! I’m daily vlogging on my YouTube channel (aubreyjoybooks) so a video should be up tonight or tomorrow morning. I’m so excited to see how much I can read! My TBR is probably overly ambitious, but we’re gonna go for it. This is the second time I’ve read this book and I’m so excited to actually continue on with the series now! Here is my original review from last year. I forgot how much I enjoyed this book the first time I read it, but I can’t wait to read the rest of the series! I’m starting this thing with myself that I’m only going to try and have 2 series going at once (unless they’re not complete), just to keep myself accountable. This is my brother’s favorite book series and he asked me if I would read the whole series this time around. I told him absolutely, because he never gives me recommendations lol. This book was so fun to read and it is SO fast paced. I feel like I flew through this! I’ve been reading it for a little less than a week, but I’ve only read it for three days… if that makes any sense. My first review of this book has more coherent thoughts about plot and characters, but I love Day and June. I love them together and I love them individually. I completely forgot how cool it was how Metias left the message for June. I love that he knew she was smart enough to actually figure it out. So cool.